Thank you to everyone who attended the Labs21 2012 Annual Conference! I thoroughly enjoyed seeing you all and hope that you had a productive and enjoyable experience in San Jose. On behalf of the I2SL Board of Directors, I would like to thank this year's sponsors for your support in making the conference a success. Also, thank you to our exhibitors and speakers for your valuable contributions. In addition, I2SL applauds the winners of the International Sustainable Laboratory Student Design Competition, who were honored at this year's conference. The great work done by these students from Carnegie Mellon and Clemson Universities reflects a strong awareness of sustainable strategies and inspires our industry with the promise of a bright future of young, competent professionals. Thank you to the U.S. Department of the Interior's Office of Insular Affairs for their financial sponsorship, which made this competition possible. Learn more about the competition on I2SL's website or read the article on the winners that was recently published in Lab Design Newsletter. The success of this competition has laid the foundation for planning another. 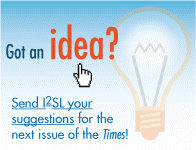 Send your thoughts and recommendations for a future student design competition to I2SL. As we look ahead to the new year, we are delighted to have the opportunity to invigorate the 2013 I2SL Annual Conference (formerly the Labs21 Annual Conference) with new ideas, as well as engage the industry in all of I2SL's activities through our new membership program. The hand-off of several Labs21 responsibilities to I2SL gives you a greater role in defining, enhancing, and expanding the tools, case studies, best practices, and annual conference being offered by I2SL. The I2SL Board of Directors is committed to enhancing your experience through this opportunity, and we encourage your increased involvement. 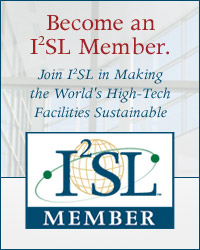 So stay involved in the sustainable laboratory and high-technology facility community year round, and contribute to the development of key tools and resources by becoming an I2SL Member. I hope you all have a wonderful fall season. Build on the connections you make during the annual conferences by becoming an I2SL Member. When you become an I2SL Member, you will gain more avenues for contributing to emerging industry resources and learning about the latest sustainable laboratory developments. Membership benefits include complimentary access to all I2SL High-Tech Talk Webinars, a benefit that pays for itself after just two webinars (i.e., in just two months!). Members will receive special identification at I2SL Annual Conferences with a ribbon on your name badge, and your name and organization will be listed on the I2SL Global Community website, enhancing your payback value. Most importantly, members can elevate their expertise by creating and leading I2SL working groups, submitting Sustainable Laboratory Times articles, and taking advantage of many other exclusive benefits. Learn more and sign up today for your year-long membership! Are you looking to increase your visibility in the sustainable laboratory community? Become an I2SL sponsor to promote your efforts while also supporting I2SL's work. Sponsor the upcoming conference, place your organization's logo or announcement on the I2SL website through a Web sponsorship, or be seen by the thousands of high-tech professionals on I2SL's mailing list through a newsletter sponsorship. Learn about the options and become a sponsor today. The International Sustainable Laboratory Student Design Competition winners were honored during the Opening Plenary Session. Attendees got an up-close look at mechanical equipment on the Stanford University tour. Informal discussions and networking were valuable parts of the conference. See more conference photos on I2SL's website. Do you have comments or suggestions about the Labs21 2012 Annual Conference? We want your feedback! Please fill out the post-conference evaluation survey and tell us what worked well this year and what we can improve in future years. 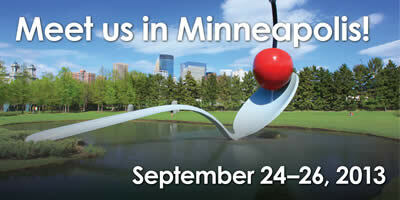 September 2013 may seem far away, but it is not too early to make plans for the 2013 I2SL Annual Conference. See the table below to learn more. 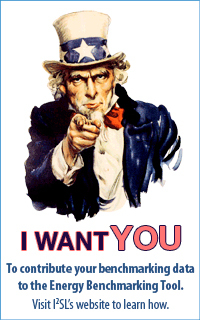 Sponsor the conference to maximize your exposure to conference attendees. I2SL, in partnership with R&D Magazine, presented the fifth annual Go Beyond Awards at the Labs21 2012 Annual Conference. This awards program honors individuals, organizations, projects, and manufacturers that "go beyond" the status quo to minimize the environmental impacts of laboratories and other high-technology facilities. Read descriptions of the work that merited these awards and see photos on the I2SL website. Congratulations to this year's winners! At the Labs21 2010 Annual Conference in Albuquerque, New Mexico, Dr. Jonathan Trent, a senior scientist at the National Aeronautics and Space Administration (NASA) Ames Research Center, shared his team's bold vision for Project OMEGA (Offshore Membrane Enclosures for Growing Algae). OMEGA is a plan to farm micro-algae in floating offshore pods. The micro-algae would eat wastewater from cities while also creating biofuel. For anyone who missed Dr. Trent's captivating keynote address or may be craving more from this dynamic and inspirational speaker, we encourage you to watch the TED Talk he gave in June 2012. 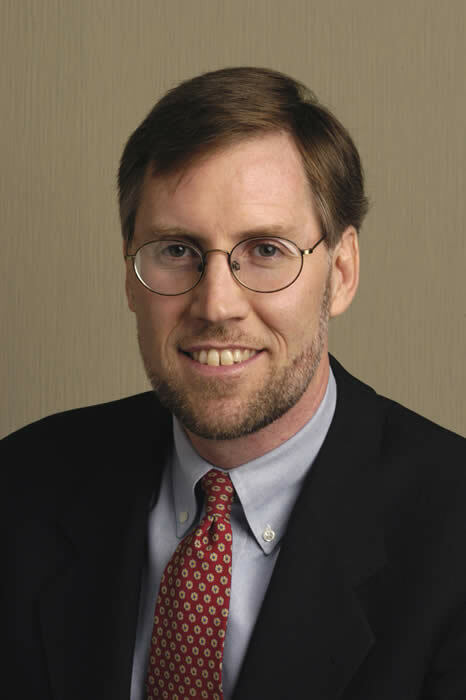 I2SL also encourages you to view Dr. Trent's 2010 keynote presentation, and nearly all the other past conference presentations from 2002 through 2011, by subscribing to the Annual Conference Presentation Archive. Building information modeling (BIM) captures a variety of building data and stores it all in one place, making it easy to understand what is needed to undergo facility maintenance or upgrades and to anticipate the results these actions will have on the facility. Read Terence Alcorn's E-Library article to learn how BIM can save you money and help you best utilize your space. A sustainable laboratory event organized by the MAITE Foundation, an I2SL Partner. 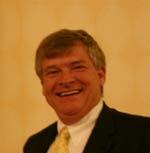 Phil Wirdzek and Gordon Sharp of the I2SL Board of Directors will attend. 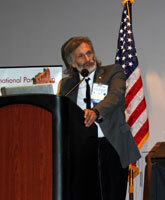 Labs21 2012 Annual Conference presentations will be posted online for conference attendees to access. Watch your email for the announcement. November 15 at 1 p.m. EST: I2SL High-Tech Talks Webinar: The University of Colorado Green Labs Program: Greening Laboratories through Collaboration. Labs21 2012 Annual Conference extended abstracts will be featured in the December issue of Lab Design Newsletter. The 2013 I2SL Annual Conference Call for Presenters will open in January 2013. The I2SL High-Tech Talks Webinar Series is seeking speakers who would like to present an hour-long webinar session. Please contact I2SL if you are interested in this opportunity. Browse the Labs21 Tool Kit on the I2SL website for sustainable laboratory Best Practices Guides and Case Studies.